Most of touch sensors ICs are usually hard-wired. However, Cypress provides programmable capacitive touch sensor ICs - CapSense. Therefore, enginners can have full flexiblity in designing touch-embedded products. 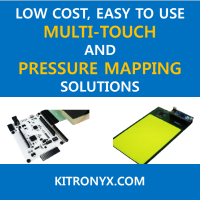 They provide three types of capacitive touch sensors CapSense, CapSense Plus, and CapSense Express.